Japan is one of the most heavily populated countries in the world, and is home to some of the biggest high rollers in the global gambling scene, so you may be surprised by how strict the gambling laws are in Japan. 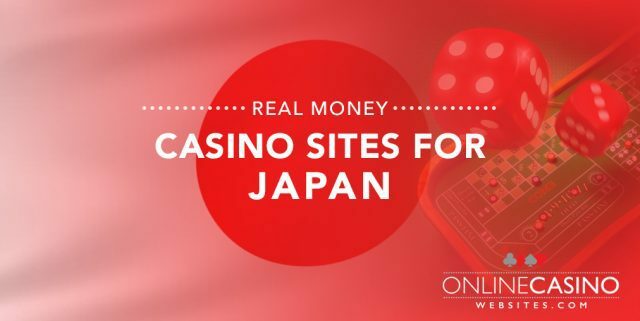 We explain more about Japan’s gambling laws and whether it is legal for Japanese players to play casino games online for real money using Yen. With a population of over 127 million, including many wealthy occupants, Japan has been an untapped market for a potentially booming casino industry. Gambling is heavily regulated in Japan and nearly all forms of gambling are banned under the Criminal Code (Chapter 23), leading wealthy businessmen and VIP punters to gamble overseas in the casinos of Macau, Australia, Las Vegas and Europe. The subject of legalising casinos has been a hot topic for decades in Japan, with the common consensus being that gambling is a corrupt practice which will lead to many socio-economic problems for the country, while opening the door for serious gambling addictions and criminal activity. However, the gambling landscape is set to change dramatically in coming years, with a bill being passed by the Japanese government in late 2016 to legalise casino gambling. This landmark decision means Japan will introduce integrated casino resorts in a bid to boost the economy and attract more tourists, although casinos aren’t expected to be in operation until 2022 at the earliest. The government is currently preparing further legislation to implement the new gambling laws, while creating regulations to curb problem gambling and organised crime. At the time of writing, most forms of gambling remain illegal in Japan other than certain types of regulated sports betting, horse racing, motorsports and the national lottery. 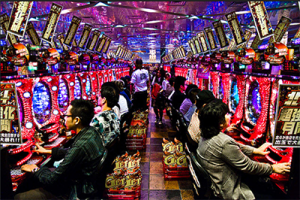 Most would also argue Japan already has a thriving gambling industry with the widespread popularity of its unique game, Pachinko, which is similar to a slot machine and played religiously in parlours across the country. Pachinko is played for real money, but prizes are distributed in the form of tokens which can then be exchanged for real prizes like cigarettes, pens, DVD players and just about anything else you can think of. The loophole is the tokens can be sold offsite for cash or gold, with authorities turning a blind eye to this practice and remaining in denial about the effects of pachinko gambling. Despite new laws being passed in Japan to open the doors to a future land based casino industry, all forms of online casino gambling remain illegal in Japan. The only online bets Japanese punters can legally place are on certain horse races, lotteries, and sporting events. Regardless of the ban on online gambling, offshore casinos (ones licensed and operated from overseas) are not blocked in Japan, so many players turn to the Internet to try their luck at real money casino games like blackjack, roulette, slots, poker, baccarat and scratch cards. Although technically illegal, Japanese players are not prosecuted for playing at an offshore casino as there is very little done to enforce these rules. If you do decide to gamble for real money at an offshore casino site from Japan, you do so at your own risk and it is up to you to be aware of the laws applying to you. Many players make the smart choice to use a trusted VPN (virtual private network) for an extra layer of security. Given the widespread popularity of online gambling in Japan, many of the world’s best offshore casinos continue to cater to the Japanese market. When playing at an offshore casino, it is important for Japanese players to stick with casino sites that are legally licensed by a reputable gambling jurisdiction, with the best casino licenses coming from the UK, Malta, Isle of Man, Gibraltar, Alderney, Curacao and Kahnawake. Only play at sites that offer games from leading software providers like Microgaming, NetEnt, Playtech, BetSoft, Evolution Gaming, Ezugi, Quickspin, Play’n Go and NYX Gaming. 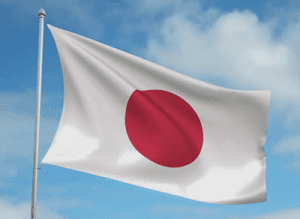 It is important to note not all online casinos accept Japanese players, with some offshore sites avoiding the Japanese market to steer clear of the country’s anti-gambling laws. For a full list of the top-rated casino sites accepting players from Japan, refer to the casino table at the top of this page. This table has been geo-targeted to recognise your location and only recommend casinos that welcome Japanese players. You can use our tables to read detailed reviews of each casino and to sign up to get access to some exclusive welcome bonuses when making a deposit for the first time. While not all casino sites accept payments in Yen, Japanese players will have no trouble finding a safe deposit option to transfer cash to play with at an online casino. If JPY deposits aren’t accepted, it simply means you will be subject to currency conversion fees as the site converts your cash to a more commonly accepted deposit method like EUR, GBP, AUD, USD, CAD, SEK, NOK or NZD. The payment options available vary between different sites, so check the banking terms and conditions at a casino before signing up for an account if there is a particular payment method you wish to use. Japanese players will typically be able to deposit using credit card, debit cards and bank transfers, while services using web wallets may be limited. Skrill does not service the Japanese market, and Neteller only offers restricted services in Japan. Consider using another trusted online payment service like ecoPayz, or a pre-paid card like Paysafecard.